Bench top power supply for super nova , allows unit to be plugged into any standard 110-120 volt AC outlet and converts it via a full wave bridge rectifier to 120 V dc for electrolysys. Can also be used with inverter installed in vehicles as an alternative to our dc power module. 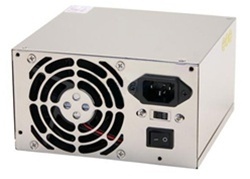 rated for 120 V 20 amps DC max. has high speed fan for cooling.